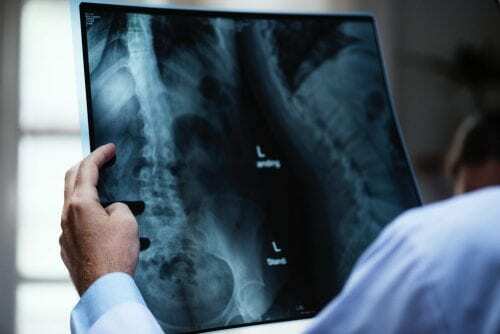 Here at Healthy Connections, Inc. we offer leading-edge technology to provide the latest in diagnostic imaging. The digital equipment uses the lowest dose of radiation possible for every image which is instantly accessible by the ordering provider and radiologist for evaluation, reducing the time it takes to obtain an accurate diagnosis. Every exam is of the highest standard and is obtained by professionals accredited through the American Registry of Radiologic Technologists (ARRT) and licensed through the Arkansas Department of Health. If the patient is seen by an outside specialist, all examinations are easily copied to discs for outside specialists to evaluate and can be created during normal business hours. General radiology services are available at Malvern, Hot Springs, Mt. Ida, and both Mena clinics. Every exam is sent through a secure server (throughout the day) to the radiologist, who returns an official report of the radiographic examination. At Healthy Connections, every exam is completed by professionals with experience in every age demographic, as efficiently as possible. Ultrasound services are now available at the main clinic located in Mena, Arkansas. This incorporates cutting-edge ultrasound technology to obtain clear and accurate images of the body. Ultrasound images are created by generating high-frequency sound waves which are sent through the body and reflected back to create various depths of tissue throughout the body. No ionizing radiation is used at any point during the ultrasound. Each examination is available for evaluation to the ordering provider and the radiologist immediately after the test is complete, drastically reducing the time it takes to get results. The ultrasound professional is accredited through the American Registry of Diagnostic Medical Sonographers. New technician certified in Abdominal, Vascular, and Echo sonography. Ultrasound examinations are scheduled Monday through Thursday at the main clinic located in Mena, Arkansas. Healthy Connections is proud to offer elective ultrasound examinations to expecting mothers and the entire family. These exams are offered during the second and third trimesters for any mother. Multiple price options are available to fit any budget. Families are invited to attend this joyous occasions as gender is revealed or the face is seen for the first time and with multiple screens in the exam room, no second is missed during the entire scan. After the exam is completed, the family is given multiple black and white images taken during the exam, and copies of the entire exam are available to be exported on a CD or DVD, which can be opened on any computer to instantly send the images to friends and family who were not able to attend the special event. As an extra bonus, Healthy Connections also offers Heartbeat Bears ® to record the actual heartbeat of the baby to be cherished for many years to come. Every exam is completed by an ultrasound professional with several years of scanning obstetrical examinations and is accredited through the American Registry of Diagnostic Medical Sonographers.